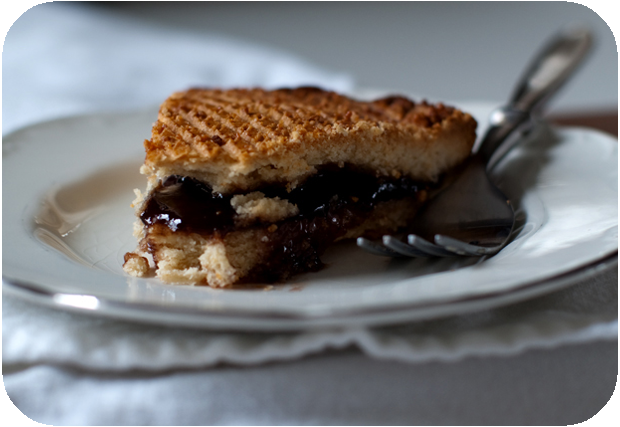 A few months ago, I treated myself to a copy of Dorie Greenspan's Around My French Table. I think I will be making recipes from the this book for a long time. If the cover photograph alone doesn't pursuade you to purchase this book, I don't know what will! Although I've had my eye on several recipes, I decided to the gâteau Basque first. The recipe is relatively simple, but does require at least three hours of refrigeration for the dough - but that's ok, that'll give you time to find a suitable filling, unless you're lucky enough to have black cherry preserves from France on hand which is one of two traditional fillings the other being a vanilla pastry cream. Because I can be a little nit-picky sometimes, I chose to weigh the dough to be sure I had two equal amounts, one for the top and one of the bottom. 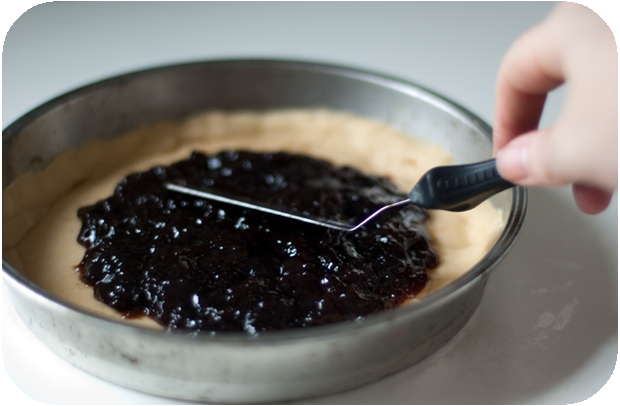 I used blackberry preserves to fill my gâteau. 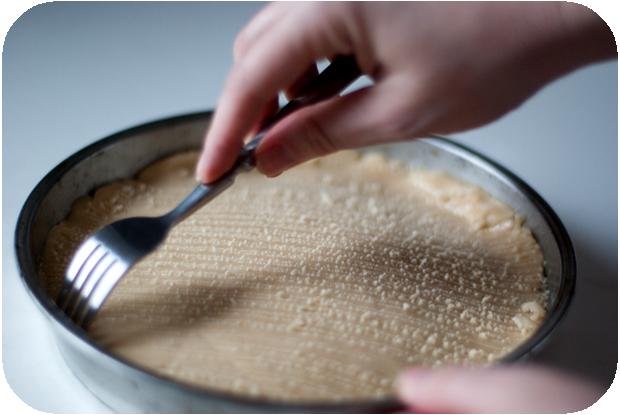 Making the crosshatch pattern which denotes that a gâteau basque is filled with pastry cream. Just to be different, I used the crosshatch pattern on mine, too. I've had two pieces already. 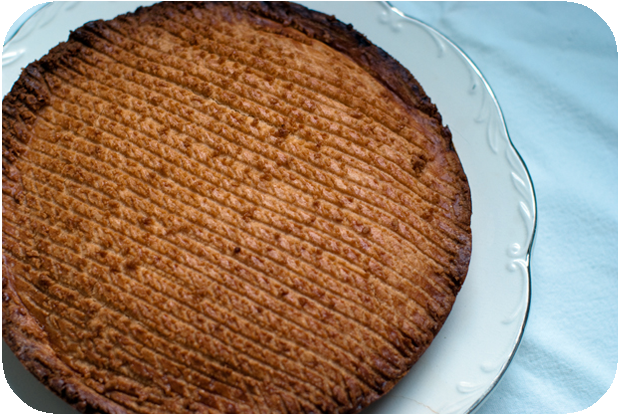 I would describe this as a dense cake - somewhat similar to a shortbread cookie and not overly sweet. The tartness of the blackberry works well with the cake. It's really tasty with a cup of coffee. I hope you decide to make this easy dessert!